We firmly believe that in the process of learning a foreign language students need to interact with each other and feel involved in the lessons. 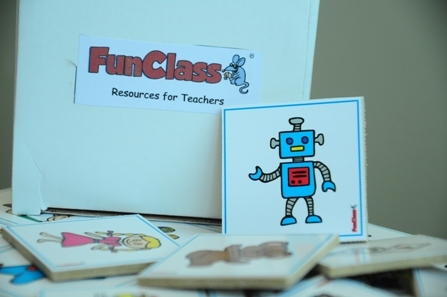 This can be achieved right from the beginning as long as the learners are provided with the right input and engaged in tasks that encourage them to produce the target language. 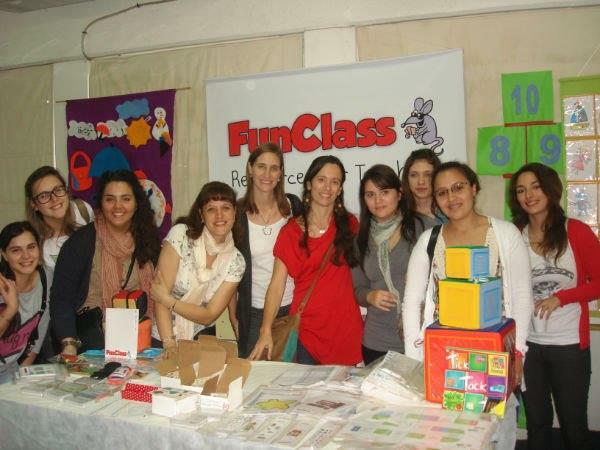 FunClass aims at supporting teachers in this challenge by offering motivational resources for all ages and levels. 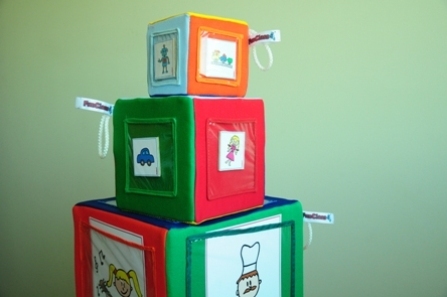 Playcubes, monsters, puppets, hopscotch, etc. 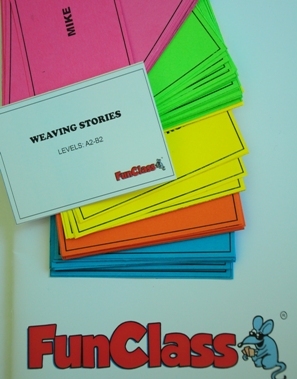 Conversation cards, weaving stories, information gap crds, famous quotes, grammar cards, etc. 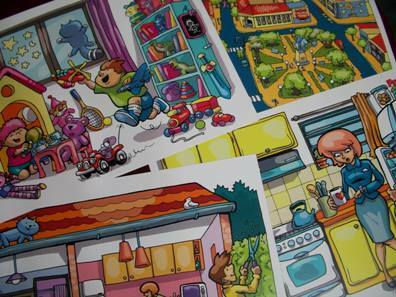 Images to introduce vocabulary and trigger speaking.